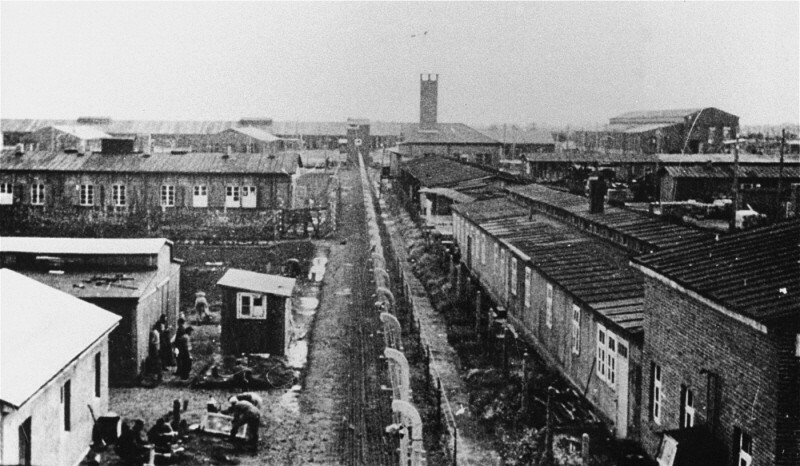 View of the Neuengamme concentration camp. Prisoners stand behind the fence that separates the "protective custody" camp from the manufacturing sectors of the camp. In the distance are the crematorium and the Walther armaments works. Photograph taken between 1940 and 1945, Neuengamme, Germany.